When my parents separated, I was 10 years old. My Mami was experiencing freedom for the first time and indulged in the partying she hadn’t experienced when she was young. Her separation with Papi was the first time she was able to choose which direction to spread her wings. My mother grabbed my big sister and I and flew to Tampa, Florida, where we moved in with my aunt. I followed after my big sister wherever she went, becoming an annoying little shadow who had to go everywhere with her. My aunt had a lot of Cuban neighbors, so my sister and I made friends with their children. Their homes were colorful, filled with African art, wooden sculptures, dolls and decorated altars. Some days they’d walk around wearing all white. 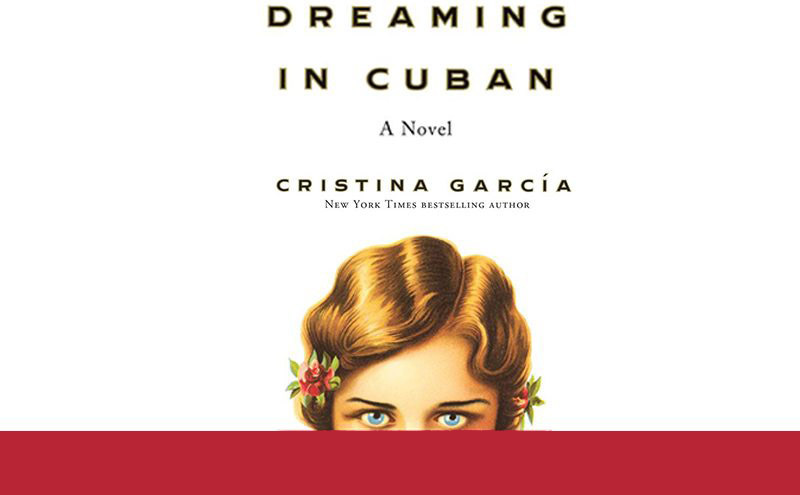 It was around this time that I started to search for books by Cuban writers and discovered Cristina García‘s Dreaming in Cuban. The culture of Cuba has always fascinated me. In my observations of the Caribbean island, I learned to appreciate its novelties, one of which is that they are a people who were committed to maintaining their customs. While every country in the world has its faults, I have been filled with gratitude in Cuba’s sense of pride for its culture. They celebrate their African ancestry and have become a people who have one of the highest literacy rates in the world. When Cubans began migrating to Miami, they dominated the area strategically, developing cultural neighborhoods and businesses that would support their collective. However, in a socialist environment, where the status quo requires rigid organization and predestined futures, there is the danger that people may lose the opportunity to tap into their creative selves. Those who do manage to find the freedom to express themselves, though, create vibrant, passionate work and do not shy away from engaging with the part of the world they come from. Their homes were colorful, filled with African art, wooden sculptures, dolls and decorated altars. Some days they’d walk around wearing all white. The story of Dreaming in Cuban itself felt remarkably parallel to my own life experiences. I was able to relate with the character Pilar, who was born in America but still felt a connection to an island she didn’t know. Like me, her parents are from foreign lands but only shared bits and pieces of the cultural traditions from their countries of origin. The character Felicia, who retreats to Santeria after learning about the death of her father, reminds me of my grandmother. Lourdes, who leaves Cuba for New York and frowns upon her people, reminds me of another family member of mine. Celia del Pino, the head of the house, is a woman in every Caribbean household: strong, enduring, the anchor. It’s a novel of three generations of women who each deal with their history very differently. They serve as voices for members of many real families who find themselves wanting to remain loyal to their birth country, but do not have the stomach to accept certain limitations. Their voices and experiences, at once unique and ubiquitous, stretch throughout the island and find their way to New York, stressing truth over glory and carrying on the multifaceted legacy of their people’s story.